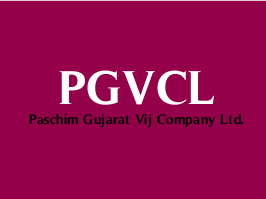 Paschim Gujarat Vidyut Sahayak (PGVCL) published call letter / admit card for Vidyut Sahayak (Jr. Engineer - Electrical) competitive examination, 2015. Exam Time: 11:00 a.m. to 12:30 p.m.
Download Admit Card between: 14-10-2015, 12:00 p.m. to 16-10-2015, 06:00 p.m. List of candidates who have successfully registered the Online Application for the Post of "VIDYUT SAHAYAK (Jr. Engineer-Civil)"
List of candidates who have successfully registered the Online Application for the Post of"Jr. Programmer"
List of candidates who have successfully registered the Online Application for the Post of "Law Officer "
List of candidates who have successfully registered the Online Application for the Post of "Assistant Law Officer"